It wasn’t a fad. #Vanlife continues to grow, and the RV industry has taken notice. Nobody’s willing to put up with the “cookie-cutter” approach to RVs of yesteryear, and technology has helped to push design to the next level. One of the reasons for the continued rising interest is that RV vacations remain the most economical way to travel. Taking an RV out for a trip used to be a massive undertaking, but much of the tedious tasks have been automated. Sensors retract awnings of it gets to windy. Advances in battery technology and solar have made it easier than ever to have the at-home feeling while you’re out in the country and miles away from the nearest electric plug. Times have changed. It used to be that RV owners moved up in size. It might be a result of the tiny house movement, but some of today’s most popular RV and travel trailer designs are significantly smaller than the monsters of yesteryear. 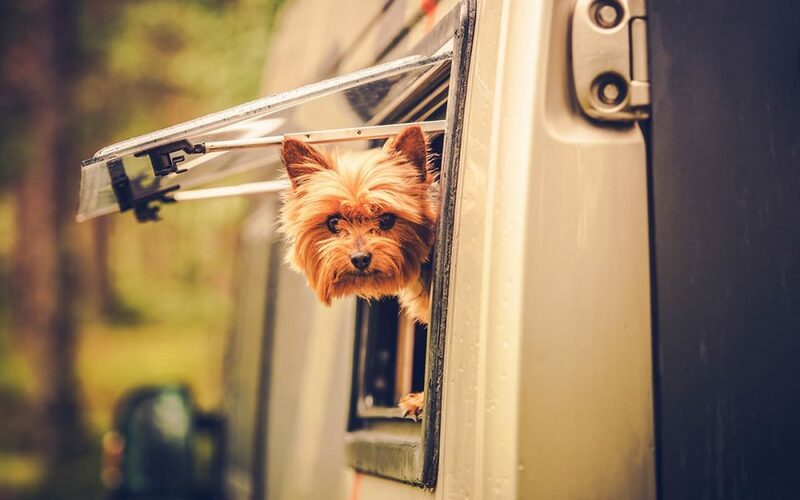 One of the main benefits to smaller RV and travel trailer footprints is that they can be taken to more places, and the trailers can be towed by more types of vehicles. While they may take up less space when they get where you’re going, nobody’s figured out yet how to make them fit comfortably in your garage. You’re still going to need ample storage space on your property, or you’ll have to rent a storage slot from a nearby storage facility. Statistics show that sales of RVs and towable travel trailers continue to increase. The numbers are still being crunched for 2018, but the previous year saw sales top the half million mark for the first time ever. The wave of interest has been pushed along by a surge of new layouts for RVs and travel trailers. Most used to look the same, except for a few design details here and there. This was mainly because of production limitations. The bathroom was always next to the kitchen because there was less plumbing involved that way. Most RV and travel trailer manufacturers have finally realized that the only way to grow market share is to give customers more of what they want – and that’s a wider choice in where things are located. Kitchens are getting more counter space. Some even feature islands for more cooking and prep room. More manufacturers have started to take advantage of putting the whole kitchen outside. It’s easier than ever to find something that doesn’t look like everybody else’s if you’re hankering to get into #Vanlife. A wider assortment also means more price options. But be prepared, some of the most luxurious choices can set you back millions of bucks! Miracle Truss® has the perfect solution for RV and travel trailer storage on your property. View our gallery.